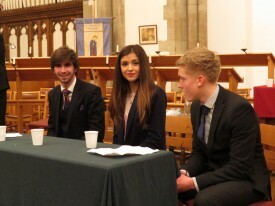 February 5th saw St Nicholas Church in Warwick host the annual “Youth Speaks” competition organised by the Rotary Clubs of Warwick and Southam 2000 to give local young people a chance to demonstrate their public speaking skills. This year some 24 young people competed in teams from Myton (2), Warwick (2), Kings High (1), Aylesford High (1) Kingsley (1) and Princethorpe (1) schools. They competed in 2 classes; – Intermediates (11 -13) and Seniors (14 -17), with prizes going to the winning team, and an opportunity to compete in the West Midlands competition, and in the past some Warwick teams have reached the National Finals. 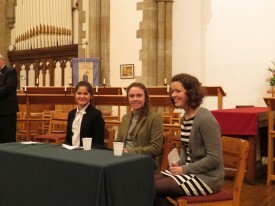 Each team of three members had 12 minutes to present the case for a topic of their choosing which ranged from “The Distortion of Feminism”, to “Prison Break”. This annual event gives young people a chance to voice their opinions on topics they feel strongly about and demands significant research, knowledge and the confidence to present arguments clearly and concisely. 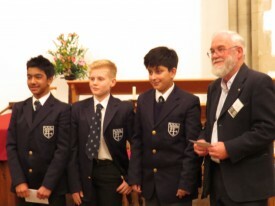 Organiser Alan Bailey said “It takes self confidence to put yourself on a platform at 13 and present a case to an audience of total strangers, and all those who performed can be proud of the progress they made and the way they had their listeners engrossed. Congratulations are due to those young people who participated, and their teachers who cajoled and supported them through the preparation process”. 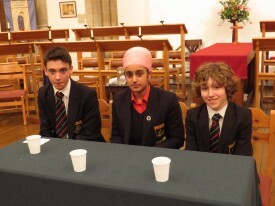 The contestants were judged by an experienced panel well steeped in the mystical art of public speaking. The event was attended by the Presidents of the supporting Rotary clubs of Warwick, Warwick Avon and Southam 2000, as well as Warwick Mayor Moira-Ann Grainger, and parents and colleagues. 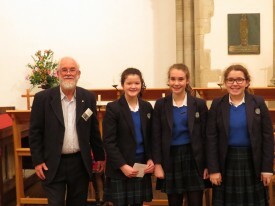 The Intermediate class was won by a team from Kingsley school who discussed “The Changing Use of Language”. 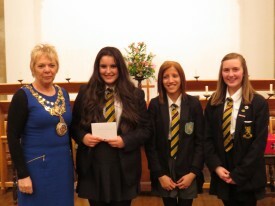 They are shown here with Vice President Robin Cooter of Rotary Club of Southam 2000. 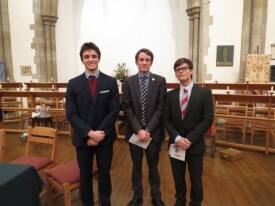 Runners up were Warwick School. 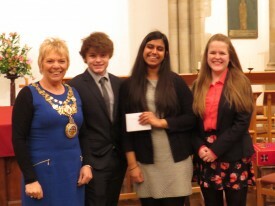 The Senior class was won by a team from Myton school which discussed “The Good Old days, do we under appreciate the present?” and they are shown receiving their awards from Warwick Mayor Cllr Moira-Ann Grainger. Runners up were Aylesford High school.